Troy Parrott continues to blaze a trail for Tottenham Hotspur. He only joined the English club in the summer but at just 16 years old, the Irishman is generating a lot of hype as part of the Spurs youth set-up. 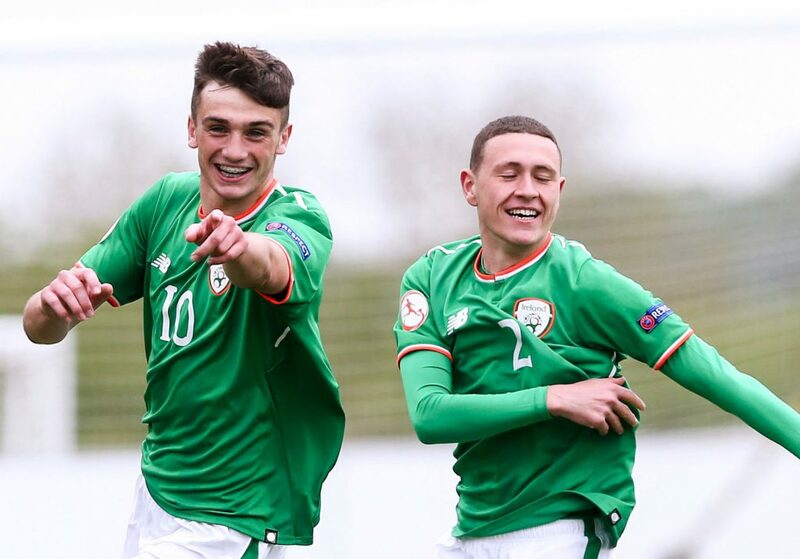 Having represented Ireland at various underage levels in a stellar manner, he is now doing the same for Spurs, culminating in travelling with the first squad for their weekend win over Leicester. Parrott’s goalscoring form in the U18 Premier League has yielded nine goals and three assists in just six games thus far, and on Tuesday afternoon he replicated that form in Europe. The Dubliner scored twice in the UEFA Youth League before today, including this screamer against Inter Milan last month. On the receiving end today were none other than Barcelona. Though the Spanish side already secured qualification for the knockout stage, Spurs were still impressive in defeating them 2-0. It was Parrott who opened the scoring within 20 minutes. Tariq Hinds found Paris Maghoma in the box, with the Englishman setting up Parrott, who got in between the two Barca centre backs unmarked to give his side the lead. After another impressive performance, he came off just minutes from time for Rodel Richards, who secured the win within seconds of coming on. Having finished second in Group B, Spurs will advance to the play-offs which take place in February, with the winners advancing to the last 16.